Every new president raises many questions in the public mind. Because Barack Obama was a relative newcomer to the national political scene, he raised more questions than most. Would he prove to be a pragmatic centrist or would his politics of hope ultimately flounder on the rocky shoals of America's deep political divisions? What of his leadership style? How would the uncommonly calm character he demonstrated on the campaign trail shape Obama's political style as commander-in-chief?Based on extensive biographical, psychological, and political research and analysis, noted political psychologist Stanley Renshon follows Obama's presidency through the first two years. He digs into the question of who is the real Obama and assesses the advantages and limitations that he brings to the presidency. These questions cannot be answered without recourse to psychological analysis. And they cannot be answered without psychological knowledge of presidential leadership and the presidency itself. 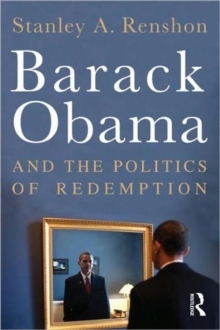 Renshon explains that Obama's ambition has been fueled by a desire for redemption-his own, that of his parents, and ultimately for the country he now leads, which has enormous consequences for his choices as president of a politically divided America.